In the latest expansion for the popular World of Warcraft game series, Legion, occupations are important and useful again. But one should think twice about what profession of their own hero to pursue, because as always, there are clear Top Jobs and unfortunately little useful activities. In our guide to Choosing a Profession, we show you what factors to consider when choosing a career. 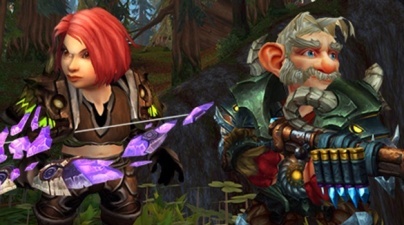 The usefulness of each profession we have given "little use" "useful" to "very useful " But be careful because Blizzard will bring numerous patches in the course, then the details may change soon. Alchemy produces useful potions and their buff effects everyone needs Raid. Therefore alchemist should have always something to do, especially since they produce an Alchemist Stone, of the effect of potions improved. Mining provides valuable ore and precious stones, which in turn requires every blacksmith, engineer and gem cutters. In addition, the raw materials have good sale at the auction house. One of the most meaningful occupations in Legion, because not only the coveted artifact weapons Relics can be prepared this way but also Engineers have recipes for bizarre and useful gimmicks such as a repair station or a kind of "Jukebox". Although there are no more glyphs, but the so-called "Vantus runes". These are tailored to a specific raid boss and give one week a thick buff against the cattle. Therefore, any raid needs the matching runes and this profession should never allowed to complain of lack of demand. Also very useful, because this profession can create special necklaces for each class, which are extremely strong. There's also in bulky Legion jewels, which confers strong bonuses. Since alchemists with rare herbs create powerful potions and inscription watchers need one or another herb, this profession is also very important in Legion. In the Broken Isles, there are massive beasts and with this craft you can processed them into leather and skins. Unfortunately, leather workers need the resources to produced, which makes not quite as useful profession. The Leather Workers also make chain mail, visit this profession in Legion four different sets. Therefore it is definitely worthwhile. Wrought build heavy armor and can make relics. A quite useful profession. Tailor in Legion make cloth armor, but only two armor sets. Therefore, this profession is hardly worth.